Discover the Maui Real Estate market, from Wailea, to Kapalua, to Paia, and everything in between, our website is the easiest-to-use, intuitive search system with a plethora of ways to find the property for you. 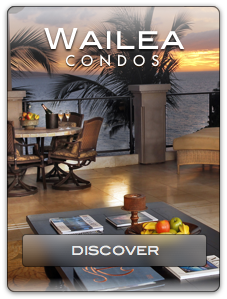 For the most advanced search function, visit our Maui Real Estate Search page - view by condominium, vacation rentals, subdivision, floor level, pets allowed, etc. Our intent is to make the search process as easy yet comprehensive as possible. Kalehua O Makena is an exclusive enclave of 8 prime, luxury building sites surrounded by the Makena Golf Resort. All home sites bring their own distinct character that offers numerous building options taking advantage of breathtaking ocean views, the splendor of Maluaka Beach, the majestic views of Haleakala the West Maui Mountains and radiant sunsets. The history of Makena comes alive in this land, once reserved for Maui Alii (royalty) and now made available through this rare opportunity to own in Kalehua O Makena. Lot 5 sits perched in the North East corner of Kalehua O Makena at 34 feet above sea level. With ocean views in front of you and grand views of Haleakala at your back, this lot is sure to leave you breathless from every viewpoint. Build your dream home within this 12,252 SF lot and enjoy the exclusive life offered in the rich lands and beautiful waters of Makena. House plan concept and renderings for lot 5 have been designed by premier architect, Ed Weinstein and are available upon request. Located in the New Traditions neighborhood at Maui Lani this cute and well-maintained four bedroom, three bathroom home is calling your name. The comfortable floor plan features a second story master bedroom with en suite bath and dual vanity. There are two additional bedrooms and a bathroom on the second floor. The fourth bedroom and bathroom is on the first floor, which could make an excellent guest space, office, or room for tutu. The kitchen features stainless appliances and upgraded cherry cabinets. The living room has new flooring. There are gorgeous West Maui Mountain views from multiple rooms including the master. A solar hot water and 3 split a/c systems help with energy efficiency and cooling. The homes nicely landscaped outdoor spaces include a fenced back yard and a separate fenced area on the side of the house used for outdoor storage. New Traditions has its own private neighborhood park with a water feature. The coveted Pomaika’i Elementary School is within walking distance. The New Traditions neighborhood is close to the central Maui Regional Sports Complex, the Maui Lani golf course, restaurants, shopping and all of central Maui’s amenities. Less time in your car will leave you with more time to enjoy all that Maui has to offer. Call your favorite Realtor to arrange for a showing. Enjoy this newly remodeled Golf Villa which features Crystal onyx flooring, soffit lighting, mesmerizing granite, and upscale finishes throughout every room. Unit 14T1,2 has two (2) separate entrances which offers rental options should you choose. Located on Kapalua Bay's Golf course, enjoy sweeping and dramatic views of the fairway, trees, ocean and island. Unit 141,2 is walking distance to Kapalua Bay, Napili Bay, The Bay Course, The Montage Residences, numerous walking trail and so much more. Owners and guests at Kapalua can take advantage of the free door to door shuttle anywhere within Kapalua, be it your favorite beach or restaurant. Property has been used as a private residence, but can be used as lucrative vacation rental. Easy to show with advance notice. Aloha and welcome to Maui Real Estate Search - our data is updated every 15 minutes, resulting in absolutely updated information with expert insight. Specializing in Wailea condos for sale and homes, Makena beachfront properties, Kihei real estate for sale, and island-wide oceanfront homes, we empower clients with all information available on the Maui MLS and through our expertise of the Wailea, Makena, and Kihei markets, as well as island-wide luxury properties. Maui is one of the most celebrated destinations in the world, earning such high honors as "Best Island in the World" and "Best Place to Own a Second Home". The Valley Isle has much to offer : From world-class golf real estate in gated communities in Wailea and waterfront Makena homes, to affordable Kihei condos, to luxury Lahaina beachfront properties, to resort living in Kaanapali condos, to the laid-back lifestyles of Paia in the North Shore and Kula Upcountry, Maui has it all. Our team of knowledgeable Maui Realtors can assist you in reaching your Maui real estate objectives, contact us today for a private consultation and to learn which opportunities would best meet your needs. Buyers can search all Maui properties for sale, receive auto notifications from the Maui MLS, save favorite properties, save favorite searches, and receive prompt answers to all their Maui real estate questions simply and quickly. Browse our Maui Condos pages for a complete, easy-to-use list of all condos for sale in Maui; review our Maui Homes page for a quick guide to all Maui homes for sale; stay abreast of the market by visiting our Maui New Listings page, where we updated all properties newly listed on the market and review our Maui REO's and Short Sales page for good values in Maui real estate. Our objective is to empower our clients with all information necessary in order to make an informed decision, including tax data, sales history, By-Laws, House Rules, Condominium Regiments, and much more - all in an effort to provide as much transparency in the purchase of Maui properties. 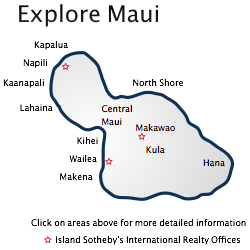 We are dedicated real estate professionals serving clients in purchases and sales of Maui properties. In a shifting market, it is imperative to have a good pulse of inventory - with that said, view all Newly Listed Maui Properties (for the past week). Looking for something specific? Contact us, we are diligent in procuring the right property for our clients at the right price - with a special emphasis on the Kihei, Makena and Wailea markets. With a reputation as one of the strongest long-term equity markets in the U.S., Maui has been a favorite among investors looking to enjoy a profitable investment while also enjoying personal use during vacations. It is worth of emphasis that in Hawaii, condominium complexes are divided among those that allow vacation rentals/short-term rentals (as per applicable County zoning and By-Laws) and those that do NOT allow short term rentals (for the sake of clarity, anything under 6 months is considered 'short term'). As such, it is imperative that if the objective is to purchase a Maui condo to use as a short-term rental, that focus is put on the right properties. Contact us for a full list of all condominiums zoned to allow short term rentals. Sellers can contact our Island Sotheby's team of Maui real estate professionals for a Comparative Market Analysis (plus free analysis of your Maui property's value) and learn more about our distinctive marketing plan. Our team has extensive knowledge of Honua Kai condos, the Wailea condo market, Makena homes, Kihei properties, and island-wide Maui luxury real estate, which results in our clients receiving the best price and conditions for their Maui property. Our marketing strategy combines cutting-edge technology and proven printed media campaigns, ensuring maximum exposure for your Maui condo, home, or vacant land. From professional photography, targeted marketing campaigns, worldwide exposure to affluent buyers through exclusive marketing agreements, a dedicated website exclusive to promote your property, to print-media marketing on luxury publications, our all-encompassing approach is Marketing Luxury Maui Real Estate. As It Should Be. Navigation - For ease of navigating through hundreds of high-quality content, please review below.